Improving the performance of the Web is a crucial requirement, since its popularity resulted in a large increase in the user perceived latency. In this paper, we describe a Web caching scheme that capitalizes on prefetching. Prefetching refers to the mechanism of deducing forthcoming page accesses of a client, based on access log information. 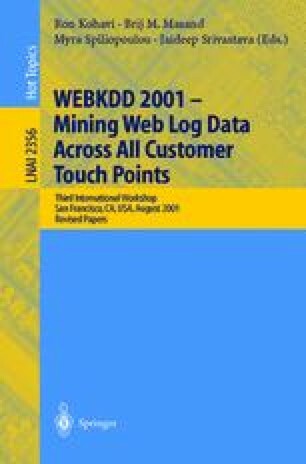 Web log mining methods are exploited to provide effective prediction of Web-user accesses. The proposed scheme achieves a coordination between the two techniques (i.e., caching and prefetching). The prefetched documents are accommodated in a dedicated part of the cache, to avoid the drawback of incorrect replacement of requested documents. The requirements of the Web are taken into account, compared to the existing schemes for buffer management in database and operating systems. Experimental results indicate the superiority of the proposed method compared to the previous ones, in terms of improvement in cache performance.